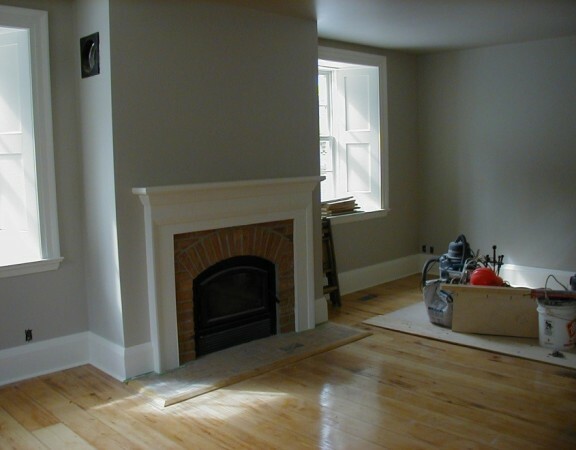 Restoring a Loyalist Stone Home - Hubbard & Co. 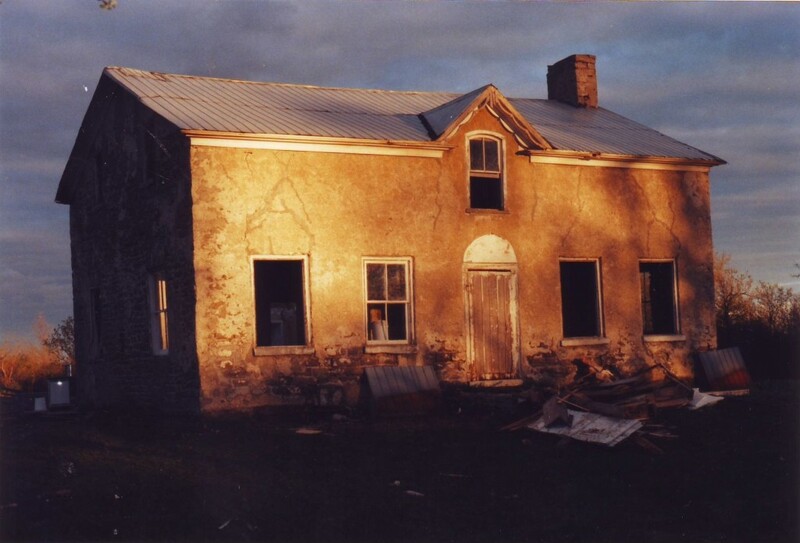 This stone home sat vacant in a field north of Prescott, Ontario for close to 25 years until my clients (a young couple with their first child) bought it in 1997. The home never had plumbing or wiring and was in very poor condition. Fortunately the purchase price of the property reflected the fact that the stone home was considered a write off. 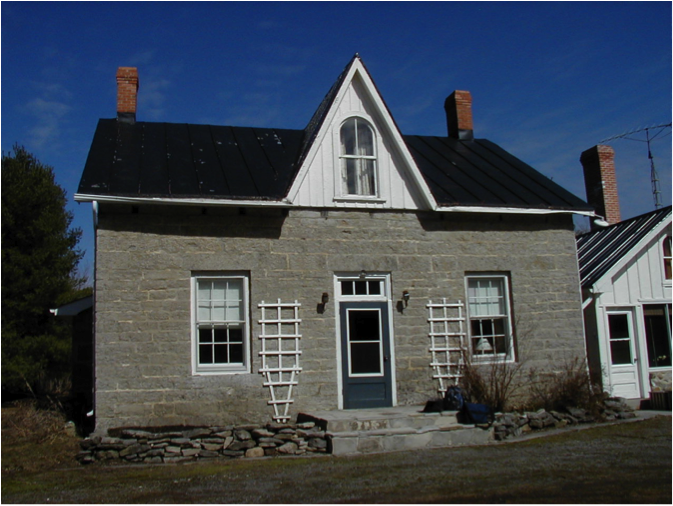 Hubbard and Co. eagerly accepted the opportunity to develop plans for the complete restoration of this property. We began by putting together a wish list of the client’s wants and needs. The wants and needs were transformed into sketches and eventually plans for the complete restoration. The project began in haste in the spring of 1997. Step one was to remove all of the architectural elements for salvage and later re-installation. 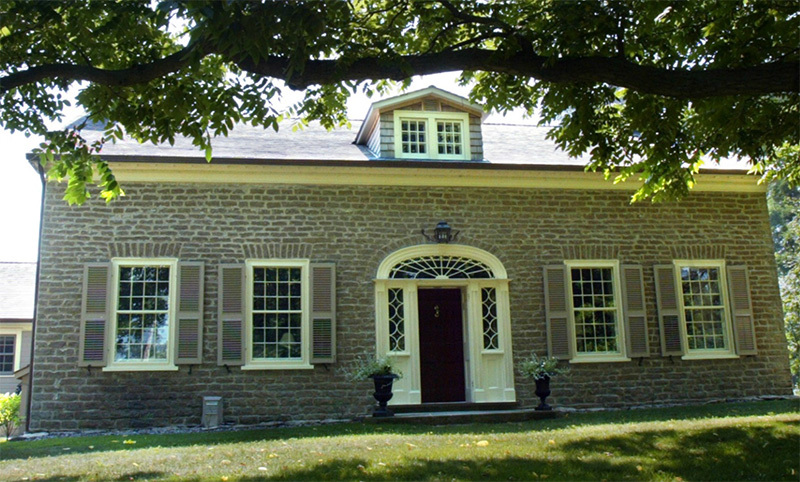 This particular home turned out to be a perfect example of a center hall “loyalist”. 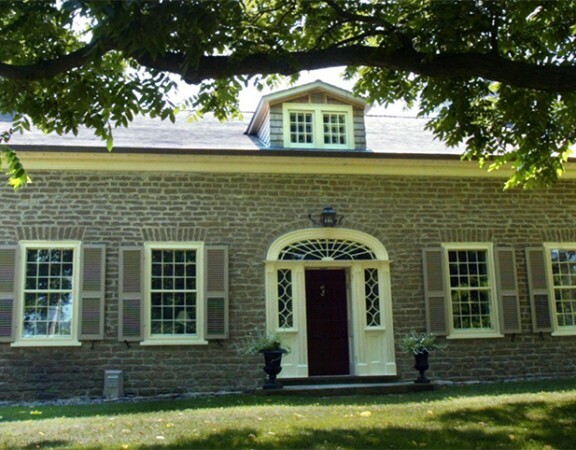 It was built in about 1830. We found the interior of the stone walls were finished in a smooth plaster. The trim was very simple; baseboard was 8” high with a bead on top, the casing was 4 ½” wide with a bead complete with a cap mold. 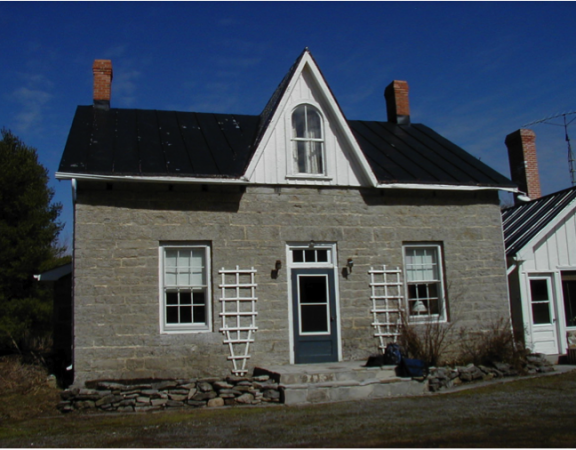 This home was substantially renovated around 1880 as evidenced by the lath and plaster, Victorian trim (installed over the original trim) and the front dormer. Over the course of the next 4 months we demolished, rebuilt, demolished and rebuilt in an effort to stabilize the structure. The east wall was taken down to the foundation and rebuilt. The west wall was taken down to the 2nd floor and rebuilt. Parts of the back wall had to be removed altogether. 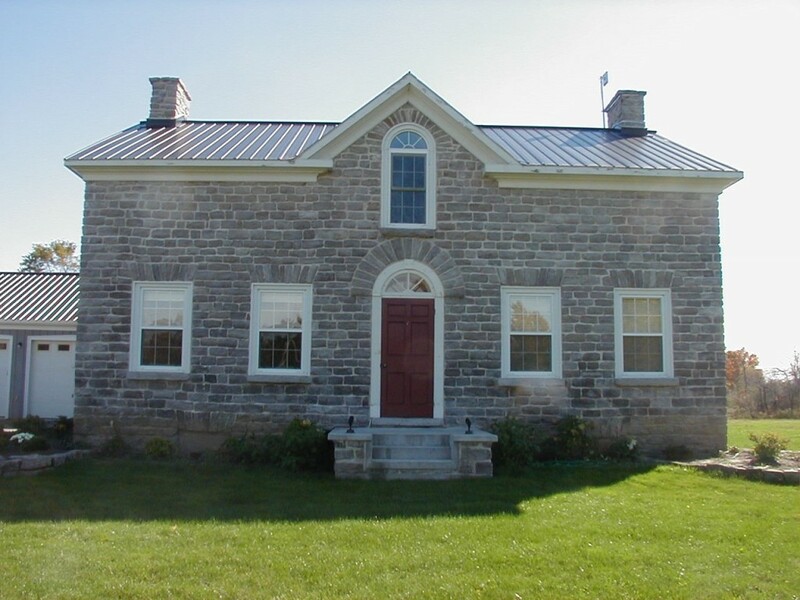 When we removed the stucco on the front façade we were thrilled to see the regular coursed ashlar limestone with the perfectly cut flare stones. The new/old home now boasts 3 bedrooms on the 2nd floor and a granny suite on the first floor. We installed a 200 amp electrical service, a septic system, a complete pressure and plumbing system along with a forced air heating system. The salvaged interior trim and floor boards were re-installed and replicated as needed in our millwork in Spencerville, Ont. We replicated a large fireplace in the living room to mimic the design of an original that could not be practically saved. Close to 20 years after its restoration and close to 200 years since it original construction this home stands as a testament to the quality of workmanship displayed by the people of the trade.